One of the great joys of my job as director is telling people about all the great things we're doing in the community. In this issue of the Director's Report, we are highlighting a sample of the innovative efforts going on in the department, such as the introduction of free wifi in our health centers, offering rideshare services like Lyft to clients with transportation needs, and honoring businesses with excellent food-safety practices. We also showcase, as usual, how our employees are going the extra mile to help those we serve. Read on and enjoy! Dr. Al Tobias of our Medical Reserve Corps (MRC) has earned a national award for his leadership, dedication and service during the last year's Mendocino Complex fires. Dr. Tobias, a retired physician who helped found the local MRC in 2009, this month received an Outstanding MRC Responder award from the U.S. Department of Health & Human Services' Assistant Secretary for Preparedness and Response through the agency's 2019 MRC Recognition Award program. In July 2018, during the River and Ranch fires in Mendocino County, Dr. Tobias deployed with Contra Costa MRC to provide medical care to evacuees from the fires housed in emergency shelters. He was recognized for bringing experience, guidance and mentorship to the team during more than 50 hours of volunteer service that helped to ensure the continuous availability of medical care at the shelters during one of the most destructive fires in California history. The Medical Reserve Corps includes doctors, nurses and other medical professionals who volunteer to train and respond during disasters involving medical surge or mass distribution of pharmaceuticals. It is coordinated through Contra Costa Emergency Medical Services. Our MRC sent 18 volunteers to three shelters during the Mendocino Complex fires over 10 days, one of several recent deployments prompted by large wildfires. Visit cchealth.org/mrc to learn more about the program. Medical professionals interested in volunteering can find more information at the web page or by contacting Lisa Vajgrt-Smith at lisa.vajgrt-smith@cchealth.org. The Board of Supervisors last month approved a contract with Ride Roundtrip, Inc. to provide rideshare services, such as Lyft, to clients in CommunityConnect, our whole-person care program. The rideshare services will be available to more digitally-savvy clients with mobile phones. Other CommunityConnect clients will still be able to use taxi services. It's expected that the rideshare service will be less expensive than taxi services, according to CommunityConnect Administrator Rachael Birch. CommunityConnect coordinates care for 15,000 low-income clients who frequently use a variety of county health services. Transportation is one of the biggest needs for the program's clients. Contra Costa Health Plan is also looking into the possibility of using rideshare services like Lyft in addition to taxis. 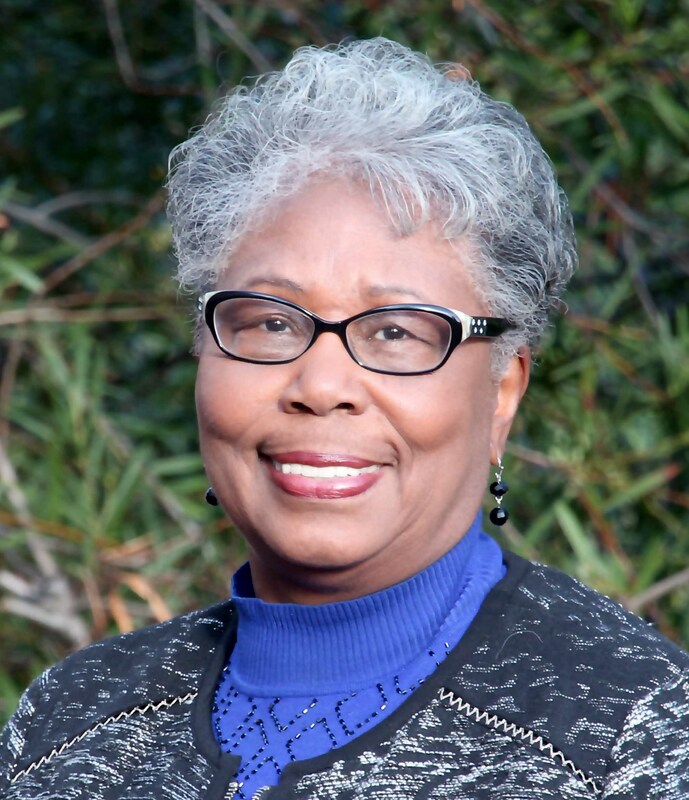 Sharron Mackey accepted the permanent position of Chief Executive Officer (CEO) of the Contra Costa Health Plan (CCHP) in March. 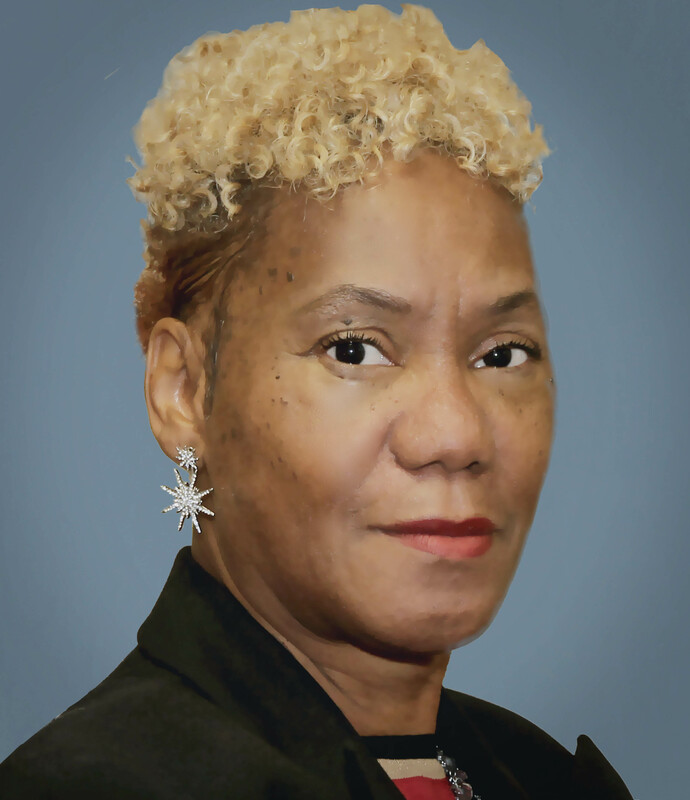 Sharron has more than 25 years of experience in healthcare and stepped up as interim CEO in December 2018. 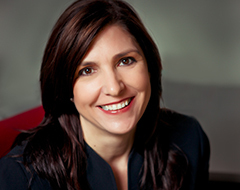 She has worked with six major health plans in California, serving in various leadership roles. Before becoming CCHP's chief operating officer in January 2017, she was a senior project manager for Blue Shield of California for many years. Sharron also served our country in the U.S. Air Force for more than 20 years. Her professional background also includes a strong knowledge of provider relations, Medi-Cal managed care, utilization management and contracting. Dr. Brian Johnson has been selected to lead our nationally-recognized Family Medicine Residency Program effective July 1, 2019. In his role as Program Director, Dr. Johnson will oversee the medical education for the 40 residents in the three-year program, as well as recruit incoming classes. Brian is well versed in graduate medical education and has served as the Residency's associate program director since 2013. He succeeds Dr. Kristen Moeller, who is stepping down after running the program for six years. Our Residency Program has been providing training in family medicine for more than 40 years. It has been named one of the top 10 family medicine residencies in the U.S. by Doximity four times. 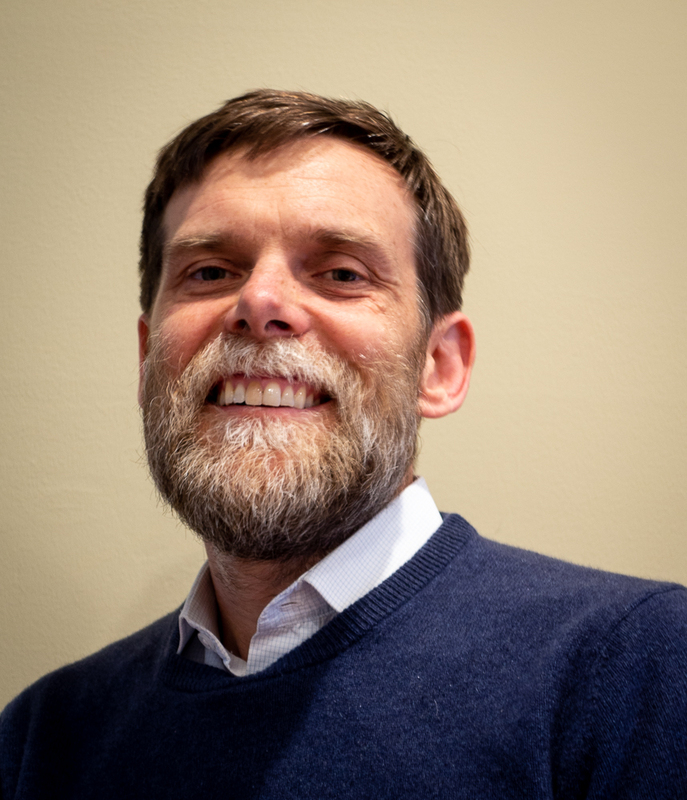 Brian is a native of Seattle and studied medicine at the University of Washington with a focus on the health of homeless and rural populations. He did his family medicine training at the University of New Mexico and worked in rural New Mexico in both local pueblos and critical access hospitals. In 2009, he moved to the Bay Area and joined the staff at Contra Costa Regional Medical Centers & Health Center. In addition to his work, Brian spends his free time hiking and skiing in the Sierras, meditating, swimming, and trying to keep up with his daughter and wife. 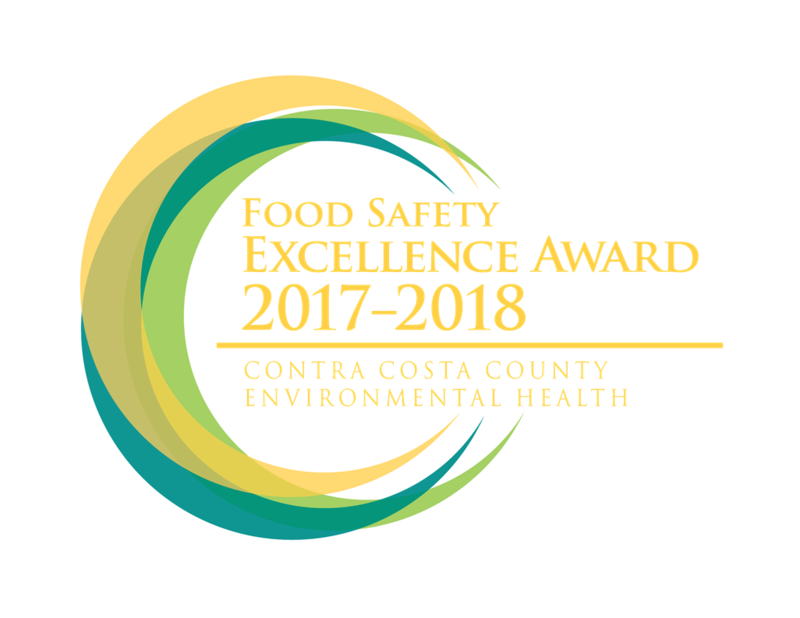 Our Environmental Health Division (CCEH) issued awards to more than 200 Contra Costa businesses in March for demonstrating outstanding food safety and sanitation standards. The inaugural Food Safety Excellence Awards recognize commercial food permit holders that passed at least three routine health inspections since 2017 without any major violations. This year's 227 recognized food establishments include restaurants, schools, full-service delis, skilled nursing facilities, grocery stores and markets and detention facilities. One awardee from each supervisorial district represented the group during a formal recognition at the March 19 Board of Supervisors meeting. Depending on the type of business and food preparation, county food permit holders receive between one and three routine health inspections annually. When CCEH inspectors find major health violations, they place yellow or red placards in public view. The honorees all got only green placards from inspectors since the program began in 2017. The honorees that attended the March 19 ceremony are: De Anza High School in Richmond, China Palace in Walnut Creek, Panda Express #950 in Brentwood, Safeway #1541 in Pleasant Hill, and Alhambra Convalescent Hospital in Martinez. A new app that debuted during this year's count of homeless Contra Costa residents is helping Health Services outreach workers to quickly survey the needs of clients living outdoors. CCHS' Division of Health, Housing and Homeless Services (H3) began using "Survey123 for ArcGIS" in January. During the annual point-in-time count, the app allowed outreach workers to go paperless, sending client responses from multiple-choice survey questions directly to a database. 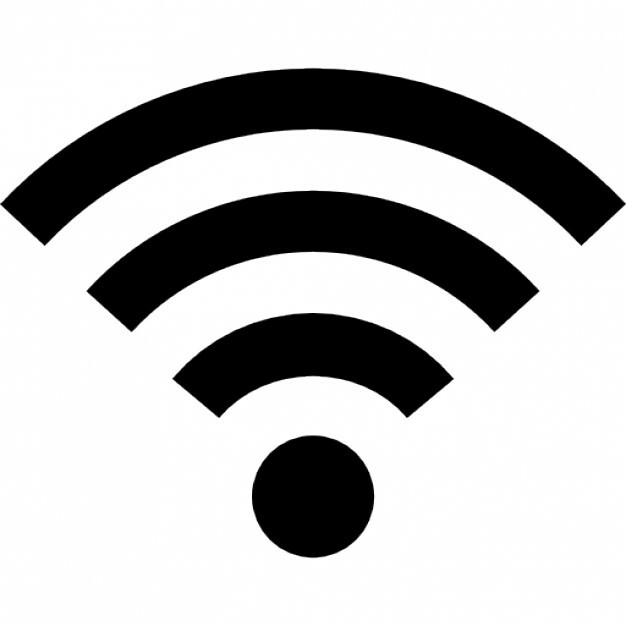 Patients at our outpatient health centers can now access free guest wifi while they wait to see their providers. Industry survey data shows that free wifi reduces patients' frustration while waiting to be seen during a medical visit. Last year, IT secured funding to install free guest wifi in our clinics to help improve patient satisfaction. 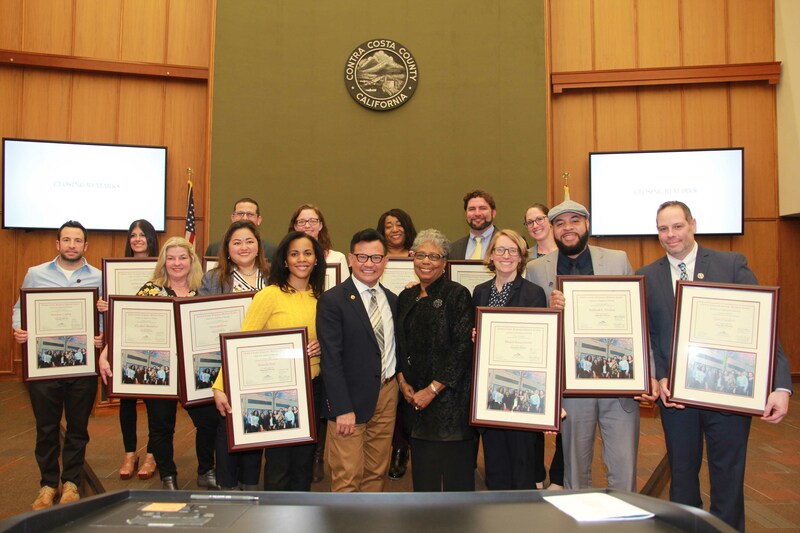 Congratulations to the 2018-2019 Change Agent Fellowship Cohort 6 for completing their 12-month journey culminating in a completion ceremony at the Board of Supervisors’ chambers. The 13 fellows, CCHS employees representing the various divisions, presented their individual projects to those assembled, including Health Services Director Anna Roth who was instrumental in the development of the Fellowship 10 years ago. This will be the last Fellowship cohort led by Olivia Stringer, who is retiring. Olivia has overseen the Change Agent Fellowship since its inception almost a decade ago. We'd like to extend our gratitude to Olivia for all she has done through the years for the Fellowship and for the health department. A new, co-visit and care team model of care at the East County Adult Mental Health Clinic has dramatically streamlined services for patients by combining services previously provided through multiple appointments into a single visit. Under the new model, a patient sees both a therapist and a psychiatrist during their initial assessment. 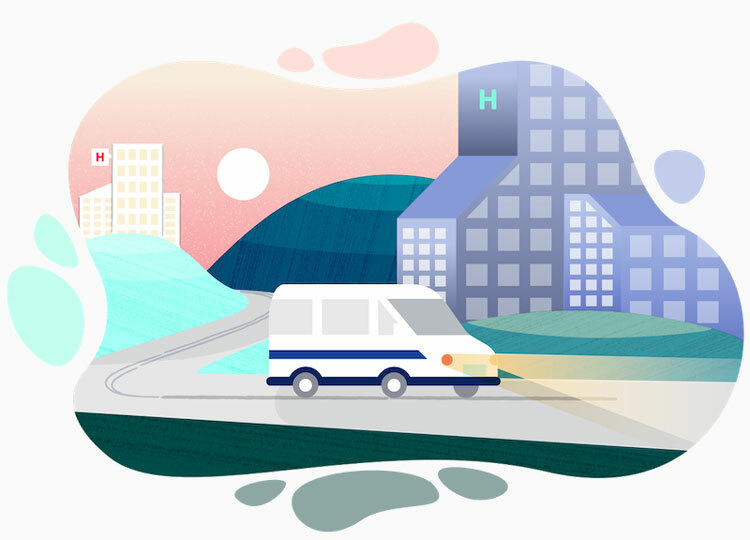 The team conducts the visit jointly, allowing for quick and efficient coordination of services – a patient may leave a single appointment with both a prescription and a treatment plan, for example. Now patient care teams, which also include support staff such as nurses and community support workers, collaborate to assess and manage patient care at every level and stage of the treatment process, from the initial co-visit to the step down and discharge phase. The clinic began using the new model last September, following a Rapid Improvement Event (RIE) that arose from an earlier Value Stream Mapping (VSM) focused on improving patient outcomes. Contact Beverly Fuhrman at Beverly.Fuhrman@cchealth.org for more information about the co-visit model of care at East County Adult Mental Health. A team of Health Services and Contra Costa County Human Resources staff spent a week in February analyzing the department's hiring processes with an eye toward identifying areas for improvement. CCHS Personnel, which hired 733 new employees and reviewed nearly 8,800 employment applications in 2018, is seeking ways to streamline and speed up its services and improve the experience for candidates and hiring managers. The Value-Stream Mapping (VSM) event during the week of Feb. 11 resulted in several findings that will lead to future projects to improve steps of the hiring process. The team collected data, interviewed hiring managers and recent hires, and observed workflow in several offices, including Contra Costa Regional Medical Center, Public Health, Behavioral Health Services and Vista Oaks Occupational Medicine. Human Resources and CCHS Personnel will continue to work closely on improving the department's hiring processes. The VSM team wishes to thank all those interviewed and observed during the event. Visit cchealth.org/video to watch a recording of the report out from this VSM. Contra Costa Public Health has issued a health advisory regarding the continuing epidemic of prescription opioid abuse, urging continued adherence to new prescribing guidelines, wider availability of Naloxone in the community and promoting new safe disposal options for prescription drugs. The advisory coincided with the March 19 Board of Supervisors meeting, at which the board proclaimed it Prescription Drug Abuse Awareness Month. The actions were part of a national effort to draw attention to an epidemic that causes thousands of deaths every year across the country. CCHS works closely with local medical providers and community partners to combat the prevalence and misuse of opioid painkillers such as hydrocodone , oxycodone and fentanyl. Visit cchealth.org/safe-drug-disposal for information about the county's Safe Drug Disposal ordinance, as well as locations of free drop-off kiosks for unwanted prescription drugs. Do you want to help when the next Big One hits? The Health Services Emergency Management Team (EMT) needs new or existing members to train for important roles during health emergencies. EMT is a group of employees from all divisions of Health Services who collaborate on preparedness projects and training to ensure the department can respond effectively during health emergencies. EMT is a voluntary collateral assignment. With permission from their supervisors, members attend occasional meetings and trainings. EMT work usually occurs during normal business hours (unless there’s an emergency). When a health emergency affects our community and the Department Operations Center (DOC) is activated, EMT members are often called upon to work shifts in their trained roles at the DOC, which are often very different than their usual jobs. Please click here to review the three priority DOC roles for which we are currently recruiting. If you believe the roles may match your skillset, contact Josh Sullivan at Joshua.Sullivan@cchealth.org or 925-957-2661.